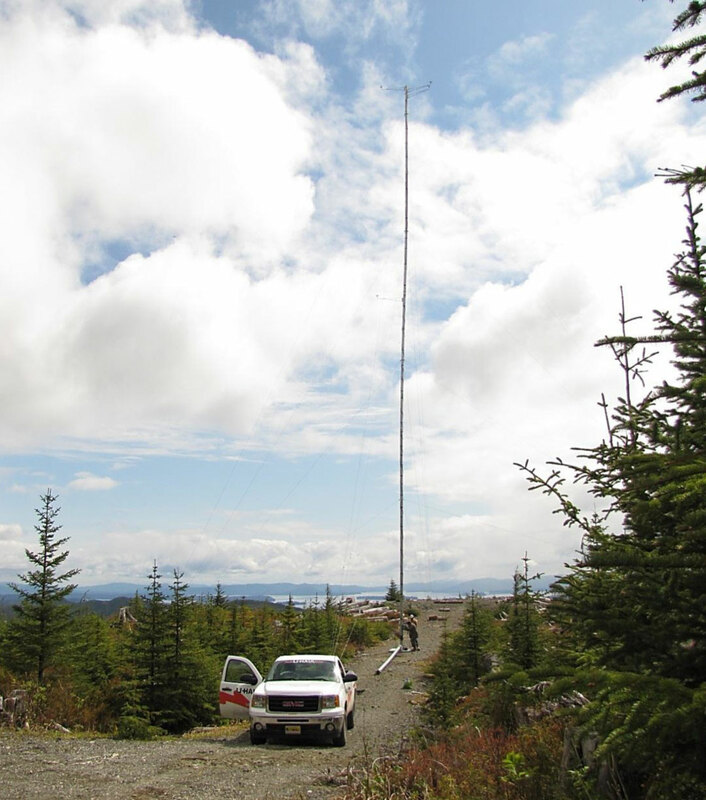 A 34 meter NRG Systems, Inc. tubular-type meteorological (met) tower was located on a high headland on the northwest side of Kupreanof Island approximately 7.7 km (4.8 miles) straight-line distance northwest of the village of Kake, but 19 km (12 miles) by road. Kupreanof Island hosts extensive forestry operations and compared to the original virgin forest cover, the site is relatively open and clear due to past logging activity. The site is well exposed to the south and west although a moderately high hill is directly east-northeast and much higher terrain exists a further 1.5 km to the northeast. This site was chosen because of its potential for wind power potential and its relative proximity to Kake. The wind resource Kake itself (at sea level) is likely insufficient for wind power development due to topographic features and forest cover; however, there are hilltops closer to the village that warrant further study. The wind resource measured at the site is very good with wind power class 5 by measurement of wind power density (Class 4 if considering only mean annual wind speed). Given the moderately cool temperatures of Kake test site, air density is moderately higher than standard conditions, leading to the robust annual wind power density average. By other measures important for wind power analysis, the site has a relatively low extreme wind probability but high turbulence; the latter apparently due to the moderately forested hill nearby.